The Capital Region’s engagement with the Creative Economy is manifest in myriad ways. 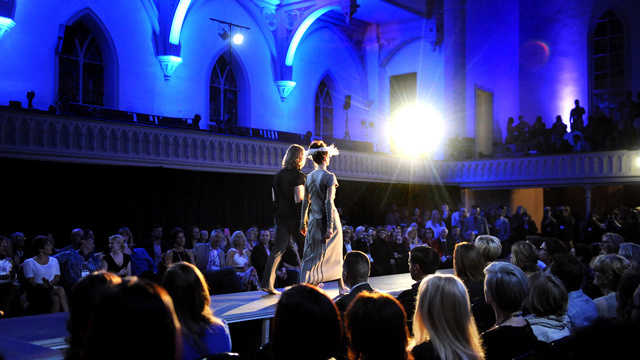 Electric City Couture, for example, brings together fashion designers, entrepreneurs, event producers, deejays, video artists, photographers and many others for an annual event that highlights new looks, new ideas and the spirit of collaboration. Conceived by Mitch Messmore and Jolene Button and produced by Corey Aldrich of 2440 Design Studio in Troy, Electric City Couture began, appropriately enough, in Schenectady, in 2010, with the intent of celebrating the art of fashion and providing a platform to exhibit up-and-coming designers of the Northeast. Early editions populated the GE Theatre at Proctors not only with colorful clothing, but with sold-out audiences of young, excited tastemakers ready to wear them. ECC grew quickly, and in 2014 moved to the Great Room at Universal Preservation Hall, adding Dzbuy it off the runwaydz pop-up shops in the Community Room below; with targeted proceeds benefitting the ongoing restoration of UPH. By 2016, ECC boasted two full, juried runway shows over the course of an April weekend. The theme, SHATTERED: Repose, highlighted the work of established and up-and-coming designers, with Saturday’s walk stressing a hard-edged look and Sunday’s quieter event focusing on a more organic drape. The 2016 designer group included Ane Amour (New York); Eenvoud (Brooklyn); Frittelli & Lockwood (Saratoga); Gamakache Black (Brooklyn); Khymanyo Studio (Saratoga); Marjolaine’s Touch (Chestertown); and Vilma Mare’s Baltic Style (Copake). “We’re excited to once again collaborate with Electric City Couture to promote NYS fashion,” said UPH Campaign Director Teddy Foster at the time of the event.